The courses cover a variety of topics, such as the environment, the development of the family, the role of festivals and traditions, immigration and multiculturalism, and many more. Lessons are taught mainly in French or German, so that students quickly become confident in speaking and listening. The basic criterion is a good grade at GCSE. The language that you will be reading and hearing at A-Level is significantly more difficult than at GCSE, so it is essential that you have a solid base from which to work. The second criterion is enthusiasm. To be a really successful linguist, you have to go beyond the work that you will do in class, and make every effort to hear and see as much of your chosen language as you can. Luckily, there are lots of ways in which you can do this. 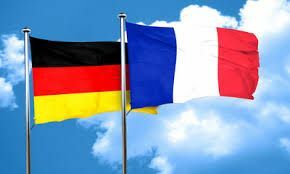 The school runs exchange programmes and study trips for students in Year 12, so you will have the opportunity to spend some time in France or in Germany. You will have a regular individual lesson with the French or German assistant, and there are also lots of resources available on the Internet which you will be able to use in your own time. The third criterion is a capacity for hard work. You will need to be prepared to spend time at home learning vocabulary, practising grammar, preparing oral presentations, and writing essays. What can I expect to learn in Languages? Studying a language beyond GCSE is vastly different from the experience you will have had to date. No longer will you talk about your hobbies and daily routine; rather, an A-Level language course offers an insight into the politics, history, cultural spheres and society of the language studied, not to mention the language itself. You will study a film and a work of literature, and look in detail at a period of history (the Occupation and Resistance for French; the Reunification for German). As you cover these cultural topics, you will continue to broaden your vocabulary and deepen your knowledge of grammar. By the end of the two-year course, you should be able to understand and communicate with native speakers of your chosen language speaking at their normal speed. Where could Languages take me? Languages count as enabling or facilitating subjects, according to Russell Group Universities. They are always a valuable thing to have on your CV, as employers respect them just as much as university admissions tutors do. The skills which you will develop include competent communication and presentation skills, the ability to gather information, assess and interpret it, analysis, evaluation and research skills, apply problem solving strategies, use critical thinking, creativity, to name but a few. All this fosters a more developed cultural awareness and global mindedness, useful perspectives to have in today’s globalised world. According to the government’s own statistics, Britain’s economy is being seriously harmed because of a shortage of foreign language skills: it costs the country 3.5% of GDP every year. Therefore, an applicant with a good grasp of a language is much more desirable than his or her monolingual counterpart. The rewards for all your hard work are significant. There are few more satisfying experiences than being able to travel to a foreign country and communicate naturally and easily with the people there. If you wish to go to university, you will find that, in addition to degrees in languages, there are opportunities to combine languages with almost every other subject. Languages open up the world, and as a linguist, you will find that your experiences of foreign travel, and your job opportunities, are immeasurably enhanced.